Found these bad boys on a random trip with the girls to Watsons. They were having buy one get one half off, so I picked up 4 shades. 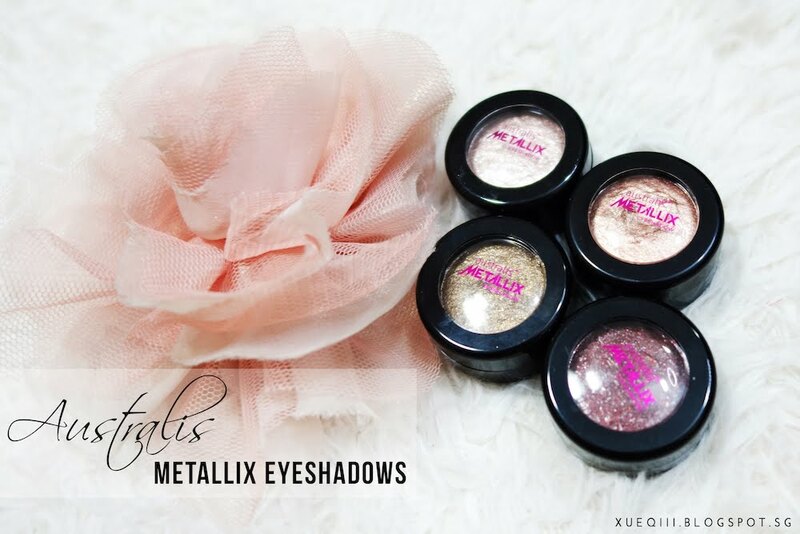 These are the Australis Metallix Eyeshadows. The texture is quite weird, it kinda moves around when you are trying you pick up the products and also when applying them on the lids. I find working with either your fingers or a small synthetic brush will do the trick. Longevity of these is quite good but I do recommend using some kind of primer underneath. Either a paint pot or any eyelid primer will do. And because of the super creamy texture, I did experience a bit of separation on one eye at the end of the day. Pigmentation is over the roof with these shadows and you will not be disappointed, especially after factoring in the price point of these. S$8.90 each before discount at Watsons. These are the 4 shades that I picked up. How cute are these names! Guns and Rose Petals is a metallic pink shade with sliver glitters. Gold Gaga is a metallic rose golden copper-ish shade. Jay Zed is a olive green shade with gold glitters. Plum Diddy is deep burgundy purple shade with pink and purple glitters. 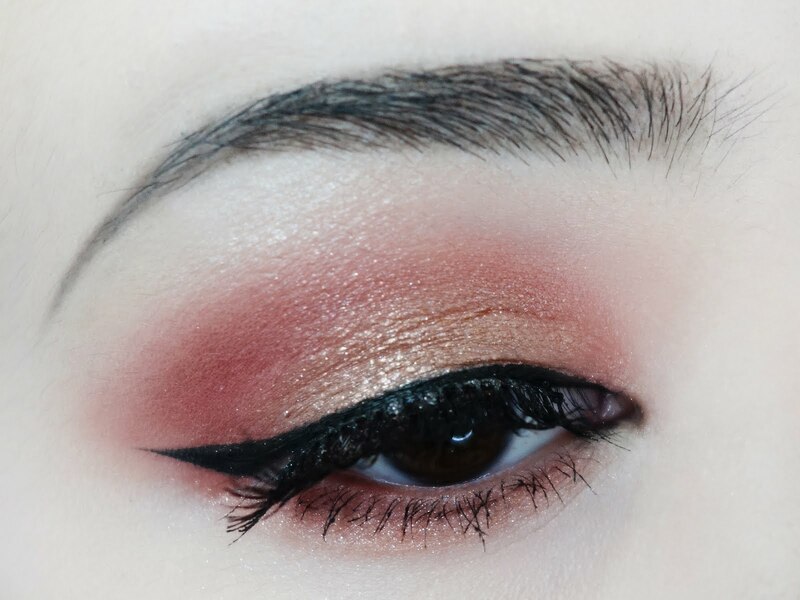 This is a look I created with Gold Gaga mainly on the inner half and more heavily on the center of the lids. 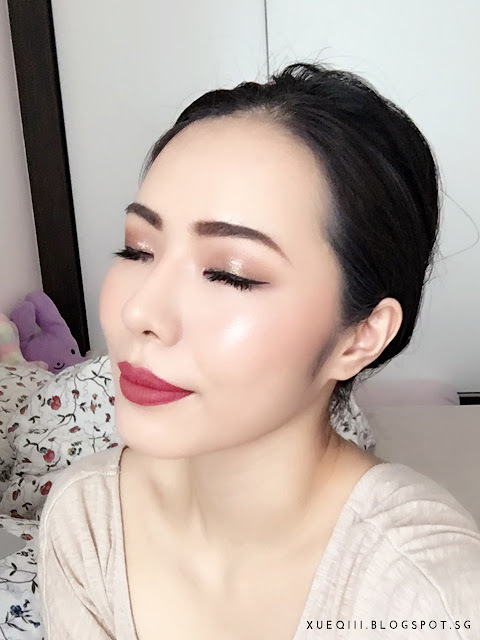 Have you tried these shadows before? Let me know which are your favourites!